On average, a kitchen remodel costs $23,406 or $150 per square foot. Most homeowners spend between $12,555 and $34,649 or $75 to $250 per square foot. The total expense varies depending on the size of the space, the quality of materials, and whether you change the layout of the room. A smaller project between $10,000 and $15,000 may include painting walls, refacing cabinets, upgrading the sink, and installing a tile backsplash. A $30,000+ renovation may include installing custom cabinets, hardwood floors, granite counters, and high-end appliances. The kitchen serves as the heart and hearth of your home. 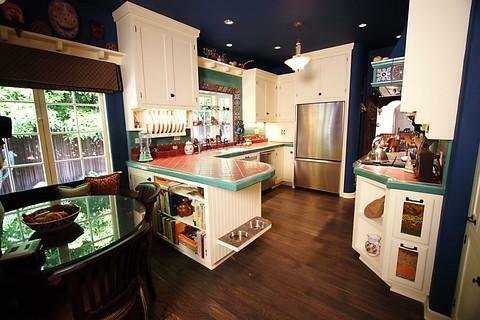 It's where you prepare your meals and where all your parties gather. Is it any wonder that remodeling this space is so popular and has the largest payoff in terms of boosting a property's resale value? Of course, it’s also the most complicated and can be the most expensive. See the cost breakdown by feature and labor below to get a better idea of the budget you’ll need or the renovations you can cut back on. What do you want from the space? How do you want it to look and function? Is the size and configuration right? Also ask: What should you spend? The industry says spend 5% to 15% of the home’s value on this project. If your house is worth $300,000, you could spend $30,000 without negatively affecting its resale price. Reface or refinish your cabinets instead of replacing them. Refinish your appliances if they're outdated or need that stainless-steel look to increase visual appeal. Replace things in stages rather than do everything at once. Kitchen renovations cost $12,500 to $34,0000, with a typical spend of around $23,000. The rate divides into materials, installation, lighting and plumbing fixtures. Expect to pay $3,500 to $6,000 for installation alone. Professional labor typically factors into the total in a range from 15 to 25 percent. The NKBA suggests 17 percent as the median. This percentage will vary depending on the size of the space and the features you install. 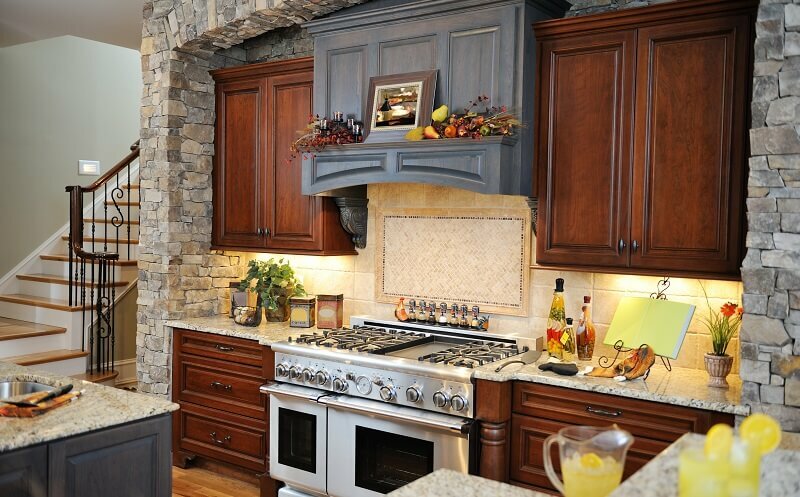 Hiring a kitchen remodeling contractor is the best way to get the most out of your project and budget. It could cost as little as $5,000 to remodel a small kitchen and as much as $60,000+ to do a large renovation. The size of your space will play a significant role in how expensive your renovation gets. Below, see the typical spend for various sizes and the factors involved. Pull-out countertops: Have a countertop contractor install a counter extension that you can flip or pull out when you need it. Smaller appliances: Replace large appliances to their smaller and greener alternatives. You can remove walls and cabinetry if you have the space and the budget to do it. You can even combine this space with the dining room for one large, unified area, instead of having a bar or tall wall separate the two. If you live in a condo, check building codes to make sure you can knock out walls. Also, consult with a contractor, as they could recognize that the wall is connected to a supporting beam. Renovating a 12x12 kitchen runs between $20,000 and $40,000. This is close to the standard size, which is between 150 and 175 square feet. Kitchen cabinet installation costs an average of $2,000 to $8,000, with the products themselves ranging from $75 to $1,500 per linear foot.Kitchen cabinets prices vary depending on whether you opt for custom or stock products, and your project price will also depend on whether you update them rather than replace them. These features often make a room's first impression. If they are dated or damaged, potential buyers may walk away underwhelmed. Limited number of designs and sizes. Remove old doors, door fronts and hardware. Select new elements and apply a wood veneer that matches the rest of the cabinetry. Installing kitchen appliances costs $100 to $300 per appliance on average. Investing in higher quality stoves, dishwashers or refrigerators will certainly drive up your total price. However, if you want to improve your home’s value, it will pay to install higher quality products. There are various options to choose from, including EnergyStar-certified, custom built-in, high-end store bought and budget outlet products. If longevity is important to you, look for products with longer life expectancies. Certified by the U.S. Department of Energy as energy-efficient and beneficial to the environment and consumer. More expensive up front than their noncertified counterparts. Have longer lifespans than noncertified options. Product options: Refrigerators, dishwashers, light bulbs, freezers and more. May require structural changes and added labor costs. Take up less floor space. Product options: Dishwashers, ovens, ranges, stoves, microwaves and even refrigerators. Less expensive than custom built-in appliances. As expensive, if not more so, than EnergyStar appliances. Near-equivalent lifespan to EnergyStar appliances. Have features like sensors, Bluetooth capabilities and hot water dispensers in the fridge. Lack the added features/technology of expensive models. They do the job and work in most layouts. Installing countertops costs$2,000 to $4,000, though this price will fluctuate depending on the material and measurements. Countertops play a major role in the look and usability of your space. Choose the materials based on what looks and functions best. Flooring installation costs $1,500 to $4,500, depending on various factors. The largest factors include the square footage and material you choose. Vinyl and linoleum flooring tend to be the most affordable but add little or nothing to the value of your house. Tile, granite and wood are more expensive and will help to increase value. The more expensive flooring sometimes proves to be the more difficult ones to maintain. Installing a faucet costs $150 to $350. If you don’t need to change the plumbing layout, installing a sink costs $200 to $550. If you decide to do a major change and rearrange your appliances, you will have to relocate the pipes. This often involves getting new pipes – installing additional pipes costs about $1,100 – and connecting them to the main line. This also means spending more on labor and, in some cases, hiring a plumber. Plus, you might have to get a permit from the city. These building permits could cost up to $800 if your contractor gets it for you. The rate for electrical work is $50 to $100 per hour on average. It’s best to do electrical work during the tear-out process. However, many homeowners don’t factor in this expense until the work is underway. Plan ahead and determine whether you need to upgrade your electrical board to accommodate a new refrigerator or oven -- which can be $1,000. You may also need to move outlets and fixtures to accommodate a new layout. Plus, you may have outdated outlets that need replacement -- adding $175 to your total. Have an electrician on hand to guide you through the process and be ready to spend about 5 percent of your total on electrical work. Moving a gas line costs $250 to $800. Unless you're planning to move your oven and stove cooktop to an entirely differently place in the room, you should be able to avoid this expense. The process involves moving and running additional gas lines, upending flooring and knocking out walls. It also requires a permit for handling natural gas lines. Building a budget should be your number one concern when planning a kitchen remodel. It determines how much you can accomplish, the materials available, how much professional help you’ll need, and what the final product will look like, among other aspects. If you don't plan appropriately, there's a good chance that you will find yourself in debt by the end of the project or left with a half-finished space after the funds run out. You should also set aside 15 to 20 percent of your budget for any unexpected problems during the remodel. These issues can include plumbing, electrical, structural, and pest or toxic material problems that could arise. With $10,000 and $15,000, you'll need to do some work yourself and hire a professional for the specialty work. If possible, purchase some of the materials before calling in the professionals. While contractors can get some materials for wholesale prices, it’s customary for them to charge extra for the purchase and labor. Save time and money by getting materials in advance and then paying for installation. When you're working with $15,000 to $30,000, you can leave more work to the professionals instead of doing it yourself. This might include refinishing or refacing your cabinets, painting the walls and ceilings, installing new lighting and rewiring some electrical work. You can also focus on replacing your flooring, if it's particularly worn, and look at more high-grade countertop material like stone (granite, Corian, Formica). 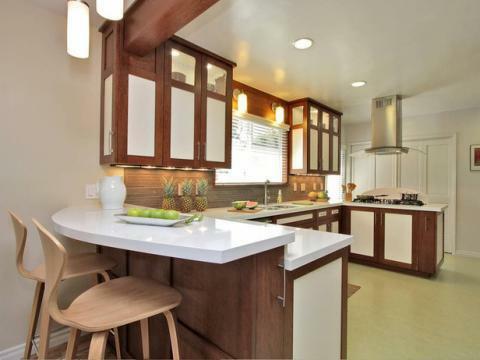 You might be able to invest in custom cabinets, move some plumbing, or have an island installed in this price range, but you might have to compromise on other upgrades in the process. When you spend $30,000 or more to remodel a kitchen, you'll have more leeway to pick and choose which improvements you want to make. If you decide to go with a major remodel and spend upwards of $50,000, you should consider consulting a kitchen designer. A professional designer has the experience, connections and examples to suggest what fits with your plan. He or she can also help you save where possible, so you don't spend needlessly while still getting the final product you want. Pass on custom options: Cabinets take up almost 30 percent of the budget for these projects. Save with stock products rather than custom. DIY where possible: See where you can do some of the installation and replacement yourself. Remodel in stages: You can break up the projects and remodel in stages, so you only have to save for one thing at a time. Only do necessary updates: You don't have to do everything. You can simply upgrade the materials and appliances that truly need updating. 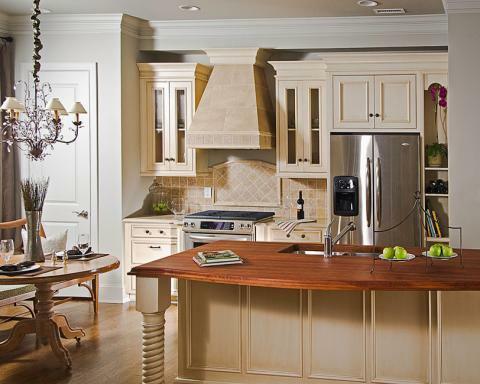 When estimating the cost of a kitchen remodel, there are various factors to keep in mind. The most important include budget, longevity, and what other homeowners in the neighborhood are doing with their spaces. By planning around these factors, it's possible to come out with results that meet expectations, last for a long time and recoup most of their original cost in the resale. When planning for this project, ask yourself how long you plan to live in your house from the time of the remodel. If you plan to sell shortly after, you shouldn't spend too much money on it. The rule of thumb is that you should spend between 5 and 15 percent of your property's total value. This is the optimum range for homeowners to spend and expect to recoup. If you plan to remain in your house for years, then you should consider splurging on items like new countertops, appliances, cabinets and flooring. The fact you'll be living in the house for years to come means that you could save money on repair or replacement because they last longer. It also means that you continue to find value in their repeated use. If you plan to live in your house for years or decades after the renovation, there's no point in spending money and only making small changes. While this applies more to sellers than to lifetime homeowners, the neighborhood you live in should reflect the kind of changes you make. 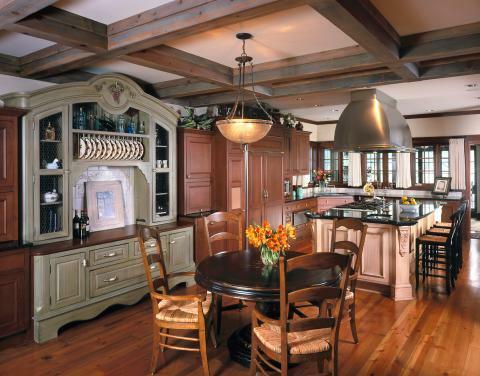 Your kitchen should not be significantly more understated or overstated than others in the neighborhood. This could reflect poorly when potential buyers are perusing and comparing properties in the area. Ideally, you want a renovation that brings out the best qualities of the room and complements your house. Avoid any colors, styles and other design qualities that will disrupt the overall scheme of your house. Adding a new kitchen will range in price from $25,000 to $50,000, or $100 to $300 per square foot. There are many additional factors in building an entirely new space with the proper structure, plumbing and electrical. High-end materials can bring your rate up to $100,000 and beyond. Find a professional. You need a kitchen remodeling contractor, especially if there are electrical or plumbing changes involved. Interview three or four candidates. HomeAdvisor pros undergo a rigorous screening and approval process. If you’re considering a contractor outside of the network, be sure to check their background and past work thoroughly. Check HomeAdvisor reviews, as well as other sources. Look for someone you can trust and work with easily. Set money aside for surprises. Set aside about 15 to 20 percent of your budget (or around $3,000 to $5,000) to cover unexpected expenses like broken pipes, mold and other problems. DIY small details. You might be able to do small things yourself to cut down on your spending. Talk with the contractor first to see what you can do safely and accurately. Discuss the floor plan and timeline. Before the contractor gets started, you should know the schedule and what the finished product will look like. The contractor or designer will draw up a floor plan of the remodel for you to approve. That plan goes to the local building permit office and onto the record for your home. How Much Is a Kitchen & Bathroom Renovation Cost? It costs an average of $33,000 to renovate both the kitchen and the bathroom. Bathroom remodels cost around $10,000 of the total. There are many additions and remodeling contractors who are licensed to perform both projects with the help of subcontractors, so you can often hire one contractor for all the work. What’s the Average Cost to Gut a Kitchen? Gutting a kitchen ranges from as little as $300 to as much as $3,000, depending on regulations in your area, the size of your space and what you need demolished or removed. Your city and county may have regulations surrounding proper disposal of waste and materials that require extra steps and labor. There may also be requirements around getting an interior demolition permit in addition to your building permit. Plus, if you want to preserve some of the existing materials, you’ll pay more in labor for more careful removal. How Much is a Mobile Home Kitchen Remodel? Remodeling a mobile home kitchen could be as little as $3,000 and as much as $25,000, depending on the size of the kitchen, the quality of materials you use and the extent of the renovation. Before you remodel a mobile home, it’s best to consult with a contractor who will ensure your changes are compliant with the Housing Urban Development (HUD) Code. What's driving your remodel? Before you consider gutting the room, make sure you have ideas in mind for how the new space and layout will look. Without anything to go on, the contractor won't know how to design it to meet your needs. The average cost of a kitchen remodel in Aurora is approximately $10,500 to $30,000. West Chester, PA: $14,000 to $33,000. Studio City: $25,000 to $52,000. I have been doing kitchen remodels for 20+ years. a reface will run between 13 and 20K. A mid-range change out kitchen 30-65K, and upscale from 75-150K. This is for professionally designed and expertly installed work including appliances with a licensed, bonded, and insured firm. The Cost Vs. Value report that the NAR commissions from Remodeling magazine is much more accurate than this report. Vist http://www.advisorhunter.com for more pricing details. This pricing is not realistic. I have worked with many contractors, and the description of costs for the 15K-30K category is terrible. Perhaps if you are acting as your own GC and you have price shopped 10 different subs for each specific trade, and want to play contractor roulette and hope that you get a good one for each category. Good luck with that when choosing the lowest bidder for each category. 20K-50K is average when you need all that is listed for a mid priced Kitchen project. homeadvisor.com is simple to use (I'm not very computer savvy) and is the first site that doesn't require extra passwords, etc! thank you for straight-forward information. 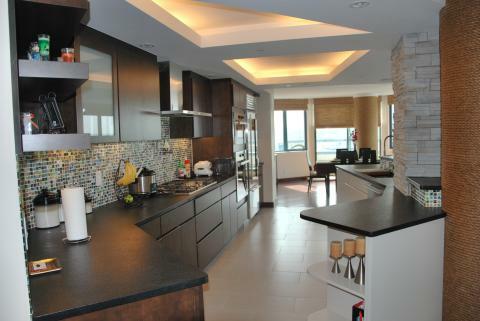 I have done my kitchen over in the year 2012 cost was 42,000. for total gut. I put in cherry wood cabinets build from a cabinet maker that's where most of the cost went along with electrician and plumber. I re-routed the plumbing and the gas lines. Put in corian counter tops I love them . It's all in what you what in your kitchen and remember to think outside the box. This article gives me an average cost, for of my future plans and what is important to me! Most importantly is the value of the many types of product, because I plan to stay in my town house until whatever happens to me. Also I plan to keep this site of r future references. Tucson, AZ. My husband & I have been contemplating remodeling our kitchen. I came across home advisor which was I gave to say VERY informative! It gave us an estimated cost of the type of remodel we are thinking of doing and it gave a few designers which we are happy to KNIW are available to help us make thus remodel kook awesome. Not sure about using home advisor since they only listed 1 contractor in my area. If you use these estimates listed here, you will feel like you got ripped off. I had my kitchen done in 2015 by a reputable kitchen design company and paid in the 40K range and I consider it to be a mid-price range kitchen. I had a door moved and part of two walls removed, all new lighting, new ceramic tiled floor, new drywall, new sink and faucet and added extra cabinets, all semi-custom cherry, with first level granite counter tops and mid range appliances. Pulled permits for electrical and plumbing with licensed professionals. The cost of the labor, for one worker, which was half of the total cost, took 10 weeks. Wow....alot to think about and not sure how much I can afford, but very informational on styles, options on products and do-it-yourself cost cutting. Don't know where you are getting your information regarding refaceing cabinets but the cheapist I can find in Austin Tx for a standard kitchen of 20 cabinets is around $19000. I can replace all of them for less. Your pricing info is absolute NON-SENSE!!! The idea that the average cost to remodel a kitchen in Warren, NJ is $25k is so RIDICULOUS!!!!! Just to buy reasonably priced, semi-custom Kraftmaid cabinets is going to be nearly that much!!! Home Advisor does nothing to help real contractors. Instead, the make up totally non-sense pricing, so customers will really think it is that cheap. If you want to know the REAL COST OF REMODELING JOBS--GO TO "REMODELING MAGAZINE"
I am a contractor which receives HA leads, most people do not even read the articals much less spend the time to find out the real project costs in our area and are shocked to find out the real costs which are of their possible investment ball parks. you get what you pay for. Having gone through a major kitchen remodel five years ago in my very small house, your estimates seem very low. One change always leads to another unanticipated change and the costs mount up. I don't regret any of my choices, but I was very naive when it came to budgeting the project. We are at the very beginning of pre-planning a kitchen re-do-- really just a step above dreaming. We have a small kitchen in a small house, but I know we can have more fun in a more open work-space - we both like to cook and our small galley kitchen does not provide a lot of elbow room. This article has laid out the kinds of questions I should ask about each separate part of the remodel. I am also happy that we can investigate the costs and design possibilities with local companies and craft people. While this project may be a small job to some companies, it will be a major expense for our family - and we will be living with the finished product for a long time. Thank you homeadvisor.com . Glad I do everything my self. $10k gets an entire kitchen done, top to bottom. Of course basic appliances. These cost estimates are too low and misleading. We had our kitchen renovated and spent around 50K including appliances. We did not use custom cabinets or high end appliances. We received quotes as high at 80K for the same job and went with the lowest. I've been considering giving you folks a try however, like many of the commenters I've just read, the "advice" you are giving to our potential customers is not remotely realistic. While these low estimates might get them to call us, the time wasted on frustrated and disillusioned clients is not worth a reputable contractor's time and effort. Another point is asking me to submit CC info and SS numbers before revealing the fees associated with your service. This just is not right...and I'm left with serious doubts before any discussion with an actual person takes place. There was a service similar to this around before Angie's came to be. The name escapes me but I joined and paid a fee per lead. Never got one decent lead and spent way too much time explaining to people that a bathroom remodel simply can't be done for 2k to 3k. I'll pass on this. Very helpful info for preparing to plan for my kitchen remodel.